Terry Hope Romero's Vegan Eats World is an all-round brilliant cookbook. 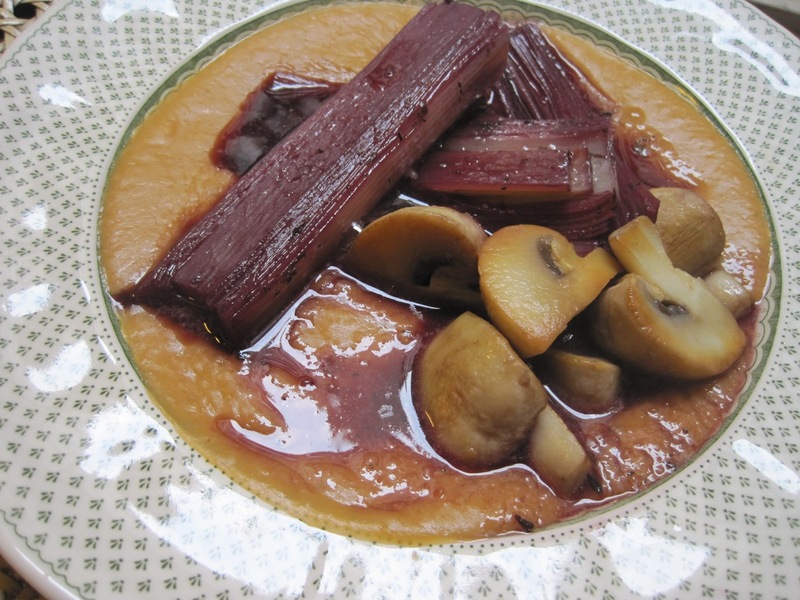 To continue my French theme this September, I made the Red wine-braised leeks and mushrooms from the book. It's all French, like. The recipe turned out to be delicious, and looked a little something like this. I served the leeks with the juicy mushrooms in the same recipe. These tasty vegetables were served over a white bean purée, about which more tomorrow. 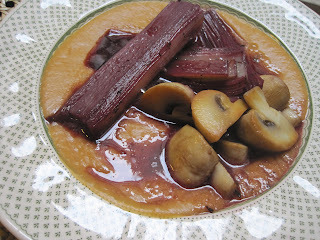 I kind of like the way the red wine braising juices look a bit blood-like on the plate. Maybe that's just me. 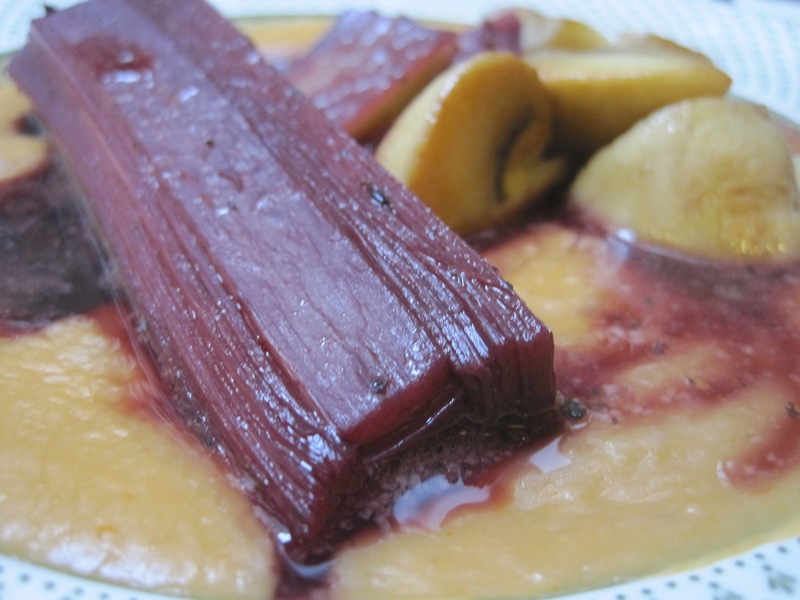 Some recipes suggest using something called 'cooking wine' when you're... cooking with wine. I disagree. Bad wine can't be expected to give good results. Plus, using a decent wine to cook with means you can drink the same decent wine with your meal. Double win.